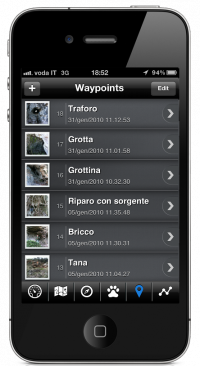 Great news: Now available the sister application of ET EasyGroups GPS, for your trips with friends !! Record a track while also receiving a phone call or using other applications. Add, import and export tracks end waypoints (i.e. : points of interest). See the direction and the distance to a target waypoint. Download maps for offline use directly within EasyTrails. EasyTrails GPS is the GPS tracker for your iPhone/iPad. EasyTrails GPS is the perfect application for outdoor athletes and everybody willing to track their activities. Whenever you are trekking, running, skiing, sailing, traveling or just wandering around, EasyTrails GPS will help you making it a unique and easier experience. Went out for a run? Well, EasyTrails GPS can tell you how far, how fast and how long you ran… and much more! It also displays the elevation profile and your track on the map in a street/satellite/hybrid fashion. 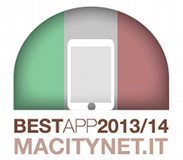 The results can be stored, so it is very easy to retrieve them at any time to verify your progress. Also, tracks can be exported to a computer to be used with GPS software or shared with others. The app exports your tracks in standard formats (GPX, KML/KMZ and CSV) and can be used with a variety of GPS software including Google Maps, Google Earth, SportTracks (Windows) and TrailsRunner (MacOSX), or upload them to online services such as Metzeler Maps, Garmin Connect, and much more. With EasyTrails GPS you can also import tracks through an advanced and easy-to-use “sharing service”. Import and export tracks has never been easier! EasyTrails GPS is reliable and accurate. The user interface is very straightforward and navigation is made easier with essential menu items. Besides, the chance to record even while the device is on standby ensures the maximum battery life. For more info: FAQ e Screenshots. 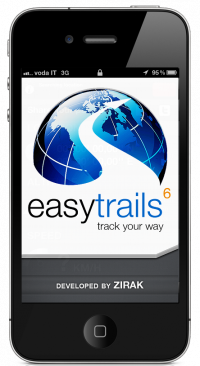 EasyTrails GPS is a product by Mobile Zirak.